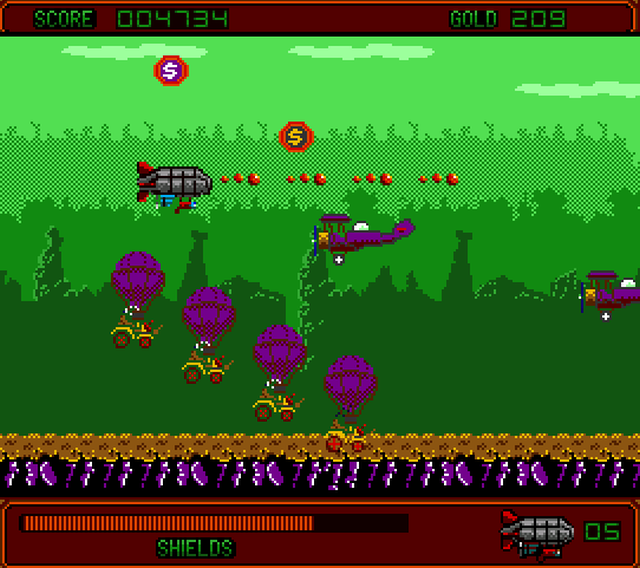 After our recent announcement for the side scrolling shoot em up of 'Kingdoms of Steam', the developers have now given us the heads up of a two level demo that is now available for the Amiga community to try out and give them your feedback. Developed by AmigaPD, Kingdoms of Steam was made in Reality and is inspired by the Megadrive game Empires of Steel but with the aim of the game to defeat the different steam fleets and return peace to the kingdom. 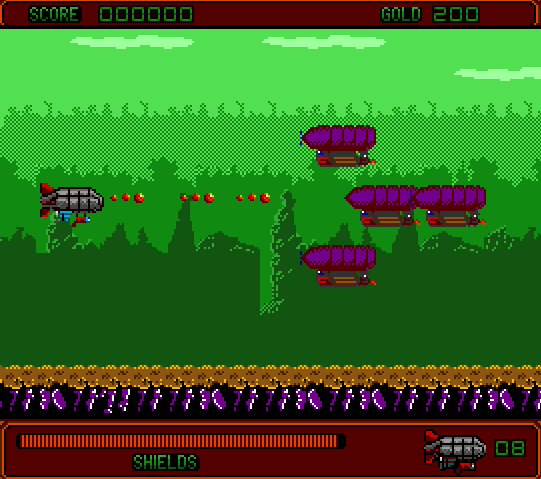 In our short play through of the two level demo, it certainly would appeal to the Amiga crowd with it's waves of enemies, scrolling screens and pick up points that can be spent at the shop. However it did have a number of negatives which I hope will be addressed for the full release. Firstly, what I found slightly frustrating was the lack of smoothness when changing directions from back and forth to up and down. Instead of having a smooth movement it was generally very jerky and doesn't help with a number of baddies coming at you at such a fast pace. Another issue which I hope will be improved is related to the fast drop animation of the points and credits which fall from enemies. This is pretty difficult with long tailed enemies that are moving up, with points dropping down and you can't get underneath without getting hurt ( You'll see what I mean when you play it ). 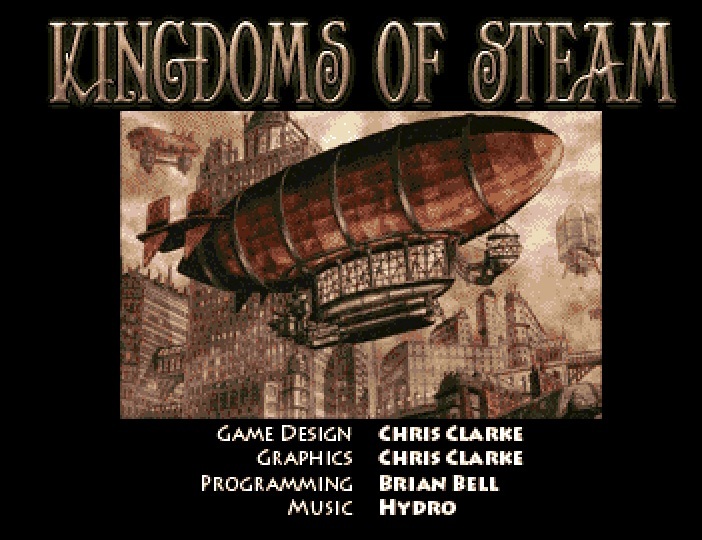 But even so, I did enjoy playing Kingdoms of Steam it just needs some slight tweaks. In regards to the full version, the developer has noted when the game is fully released it will hopefully have 4-5 levels and the fourth level is dependant on popularity, so if there's enough demand he will make a fourth and more which can all be fitted on to one adf file. (A CD32 or hard drive version could be made with an extended story setting intro.). Certainly one to watch and it's great to see developers stepping up and giving us Amiga gamers more games to play in the homebrew scene! In our testing we used WinUAE with the A1200 auto configuration.